Mission to ensure Maithri - Mahinda pact! 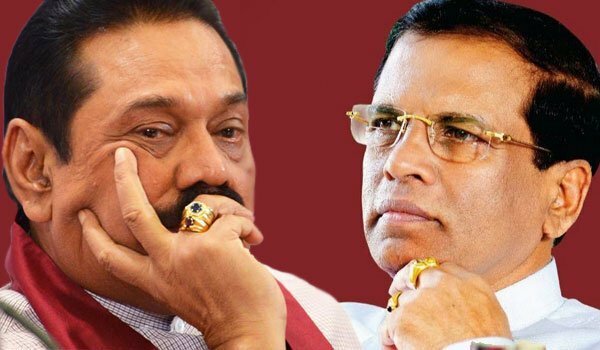 A fresh round of discussions has commenced to ensure an agreement between President Maithripala Sirisena and his predecessor - Mahinda Rajapaksa, internal sources from the Sri Lanka Freedom Party (SLFP) say. Non politician representatives from both sides have participated in two rounds of talks. On behalf of the President, a group led by Ashoka Abeygunewardena had attended while a representatives from 'Wiyathunge Handa' organisation had attended on behalf of Mr. Rajapaksa. Next week's discussion is to take up the benefits that the President would reap by working with the Mahinda Rajapaksa faction. The both factions of the SLFP have emphasised the need for a Maithri - MR pact to face the upcoming Local Council polls. Speaking on this regard, Kalutara district MP - Vidura Wickremanayake of the opposition said that the SLFP currently needs to embark on a journey with a Maithri - MR alliance. Also, SLFP senior vice president - minister W.D.J. Seneviratne said that while the SLFP contests the upcoming Local Council polls under the leadership of President Maithripala Sirisena, the support of Mahinda Rajapaksa is also needed to ensure the party victory.